The decree expanding the list of information related categorized as state secrets, including information about the losses of Ministry of Defense personnel in peacetime was entered into force on May 28. A group of lawyers has filed a lawsuit with the Supreme Court against the presidential decree classifying as a state secret information about the losses of Russian military personnel during special operations in peacetime. The decree was signed and entered into force on May 28. Previously, only information concerning casualties in wartime was considered secret. "In our view, the president exceeded the limits established by federal law. This is the main claim, because a list of information constituting a state secret is determined by federal law [in Russia]. A decree by the president, with all due respect to him, is not," chairman of the Freedom of Information Foundation, lawyer Ivan Pavlov, told RBTH. He also noted that the information about losses of armed forces personnel “is not included in any of the categories of information,” which Russian law allows to be classified as secret. According to the lawyer, other arguments can be made against the decree. For example, information about emergencies under any circumstances cannot be classified by law. “We believe that the deaths of soldiers, as well as the death of any person, is an emergency,” said Pavlov. Public figures and journalists have also taken part in preparing the lawsuit. The court will take a decision on either the appointment of the hearing or the refusal to consider the case next week. 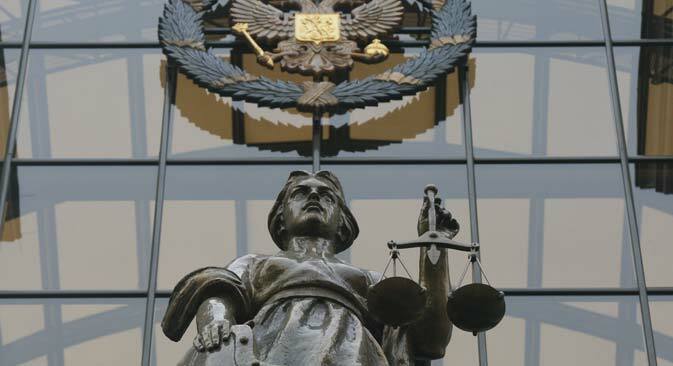 According to Igor Simonov, a lawyer of the Moscow bar association Kniazev and Partners and a member of the Association of Lawyers of Russia, a “failure to comply with stated criteria” may be cited as grounds for a refusal to consider the lawsuit. “But I do not think that people advanced in legal matters will make such mistakes,” he said. Another possible ground is if such disputes are beyond the jurisdiction of this court. However, Pavlov assured that the Supreme Court does consider cases in which presidential decrees are disputed. “Another question is that the matter is too high-profile, so there may be deviations from the established practices,” he said.